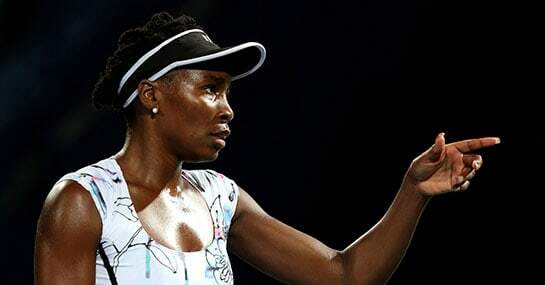 Those who started following tennis only a couple of years ago could have been forgiven for wondering whether the second half of the Williams’ sisters still existed, but that was put right at the weekend as the older of the all-conquering Floridan pair, Venus, roared back to form with her third consecutive victory in the Dubai Championships. The seven-time Grand Slam winning 33-year-old hadn’t been able to add to her tally of now 45 WTA victories since going all the way in Luxembourg in 2010, with a combination of injuries, notably a continuing battle with the incurable Sjögren’s syndrome, hindering any sustained comeback. The question now will be for how long the Miami resident can remain healthy enough to have more opportunities to show the world that she can still compete at the highest level, as demonstrated in the UAE last week. A lot of focus will be on this year’s Wimbledon, Williams’ most profitable Major hunting ground, and the price has already been slashed on a dream return to SW19, now as low as 50/1. Williams dominated the draw five times at the All England Club between 2000-2008 but was forced to miss last year’s tournament and will be naturally relishing the chance to show the London crowds what made her such a popular player before. Williams didn’t lose a set all week in Dubai and her record in the competition is a useful reference point to address a common misconception. Williams has now gone 15 matches unbeaten at the February tournament, stretching back to 2009 and in 2010 where she defended her title. It’s useful because it shows how unwell she has been in the last few years, so much so that she couldn’t go back and defend the title she won four years ago. Williams didn’t lose form, she lost health and she would have certainly added to her Grand Slam haul without the constant set-backs suffered. It looks highly unlikely that Venus will return to the Major fold at the French Open, where her best result was only reaching the final in 2002 anyway, and so the year looks set to revolve around a dream tilt at Wimbledon. It would still be a shock if the resurrection was to be completed in fantasy style, but considering some of the names that are priced below Venus in the market, the 50/1 stands-out. If Venus was to get to London with fitness on her side she would surely be much shorter in the betting, with her claims needing little more introduction than a swift tour of the gallery of past winners.